Dream Pod 9 is planning a Kickstarter this fall to fund the Heavy Gear Blitz! New Edition Tabletop Wargaming CORE RULES. We are now preparing the Kickstarter to fund the new 200+ page Core Rulebook with the goal of having it go live in October. The plan so far is to start out with an ebook and full size printed book in black & white, as Backer options. Plus two major stretch goals, first a full color upgrade to the book followed by a hardcover upgrade to the book. The final book release would be Summer 2015 at Gen Con for the 20th Anniversary of Heavy Gear. Backers would get their copies mailed out the month before the official release. The Kickstarter's only purpose is to fund the production of new rulebook and what’s needed for it; writing, copy editing, layout, artwork, painting up a lot of miniatures to the new high level paint jobs, terrain, and photos. 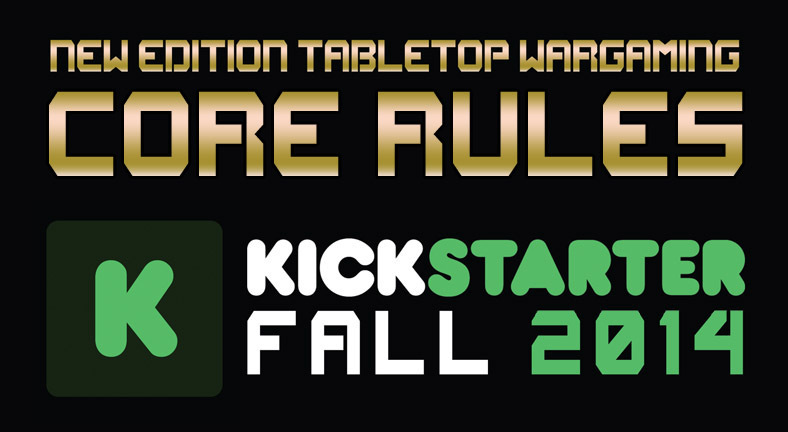 Plus to make sure we have enough copies of the new Core Rules pre-ordered to pay for everything. This is not a Kickstarter to fund new miniatures. We'll be previewing all of the Kickstarter stretch goals, add-ons and ideas in Mid-September on the Dream Pod 9 Website, Forum and Facebook page to get everyone's feedback and ideas to help us prepare a successful campaign. We need everyone's help to spread the word about the Kickstarter, tell your friends, family, local game store (we plan a retailer backer option for them as well), gaming club, and convention. This is the opportunity to bring new players into the game, get your local gaming groups started, have games run at local game stores, conventions, and get organized play prepared and running for next summer’s release. We need your help and support to make it happen.